This charming print features chic Parisians walking pampered pooches through Paris-s elegant city streets. 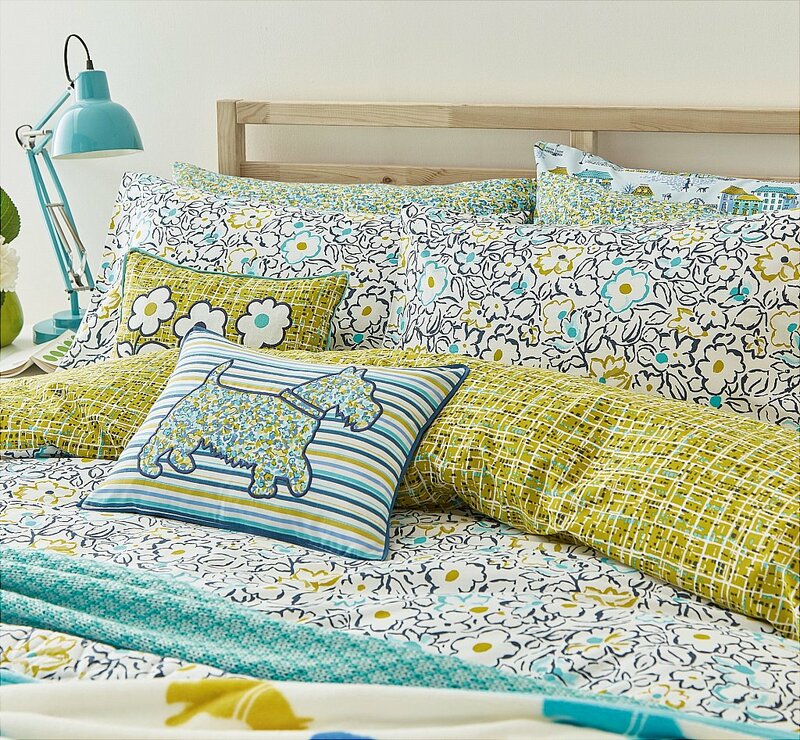 The reverse is a fine multi stripe, and a little extra pattern can be added to the bed by layering on a fitted sheet and pillowcases in a coordinating ditsy floral print. Accessorise with an embellished cushion and statement fleece blanket decorated with cute Scotty dogs. Coordinate with Tess. I would like more information about Parade Bedding by Bedeck.